Is this the start of a new series? Kind of, sort of, maybe. But I figured that since my other half and I are considering to make more trips to Malacca to experience the state a little bit more now, I might as well had started something on it. 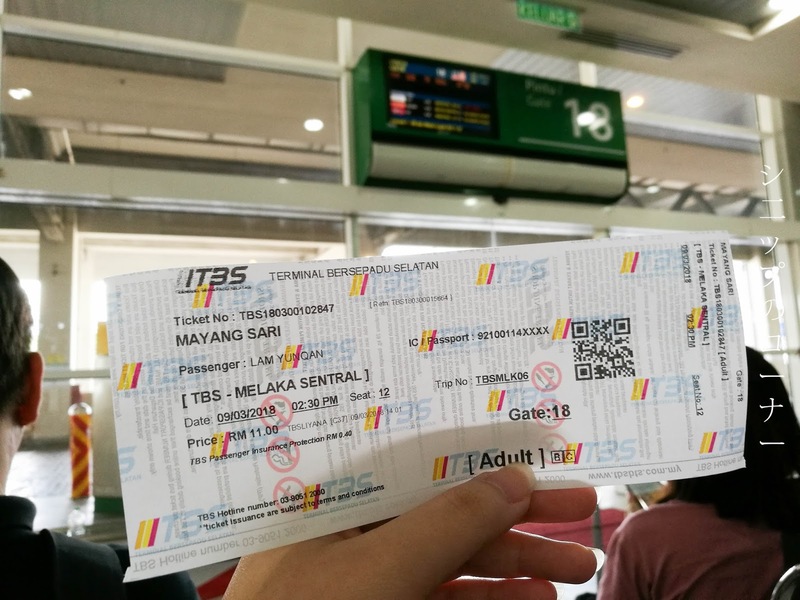 In this post, I'm going to first talk about how to get to Malacca by bus if you're from KL. 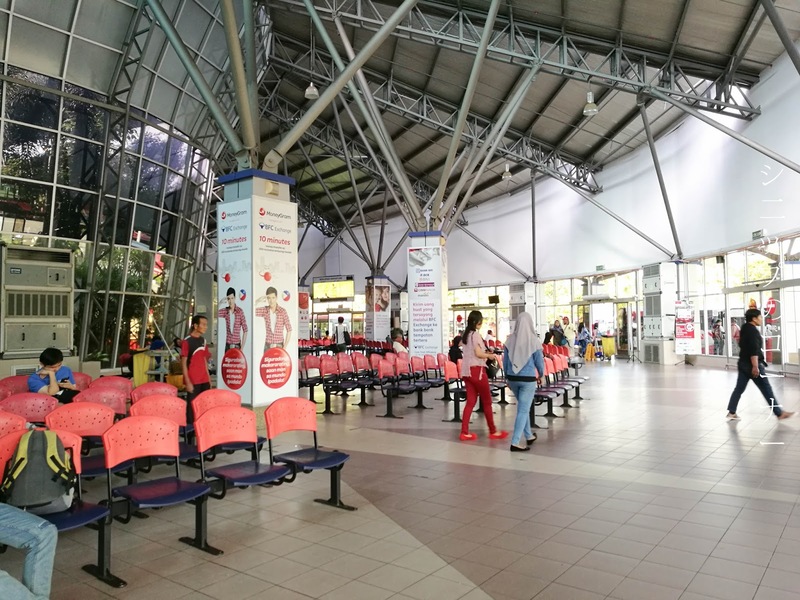 For starters, it's a 2 hour journey that starts from the Terminal Bas Bersepadu (TBS) located at Bandar Tasik Selatan to the Melaka Sentral Bus Terminal. Open in 2011, the TBS was meant to be a replacement for the old Pudu Bus Station where most locals would be familiar with. It has now been 7 years since the opening of the TBS and it's the first time I've ever been here but I have to say that I was blown away by its operations. Big, bright, and clean, the first noticeable thing about TBS is that it is ultimately tout-free. None of those dodgy uncles standing around trying to sell you tickets, and none of those screaming sales people trying to push you to pick their buses - at TBS they practice a centralized ticketing system. What this means is that you can purchase tickets to any bus company you'd like, for whatever time available, and it's at a flat rate with no extra price hikes by unscrupulous touts. 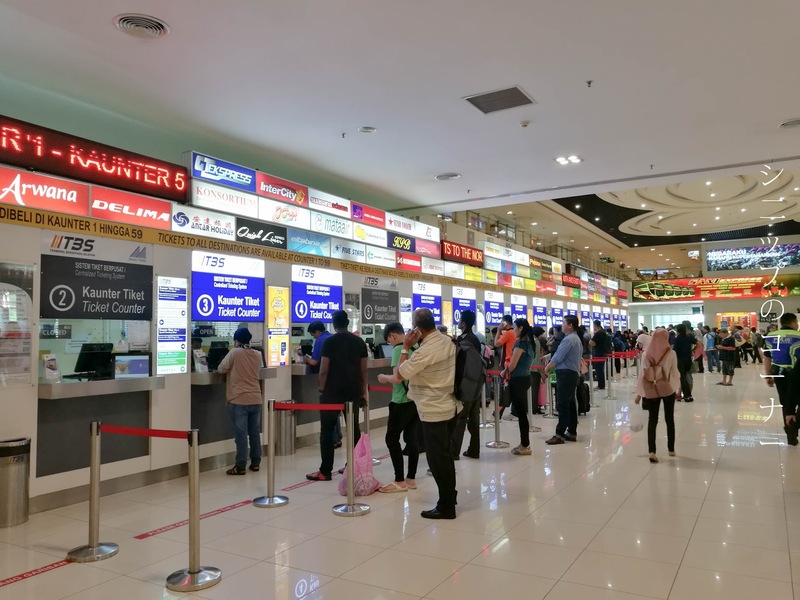 When buying your tickets from TBS however, you'll have to pay an extra RM 0.40 on top of your ticket price, and this is for the TBS Passenger Insurance Protection (TPIP). Essentially it's a travel protection plan with up to RM 25,000 in reimbursements in case of an accident and while I have no idea how it truly works, we gladly paid for it anyway. 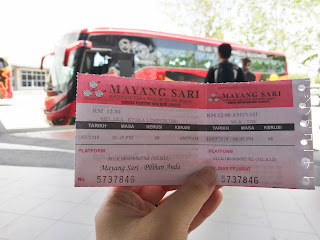 For this trip, my other half and I picked the 2.30pm bus by Mayang Sari. Tickets were priced at RM 11 each, exclusive of the TPIP. Tickets were printed on the spot at the centralized ticketing area, and they're also not transferable as they will ask for your IC to print your name and IC number on it. I thought this was a great safety feature and perhaps the best way to end the touting game for those looking to make a quick buck. 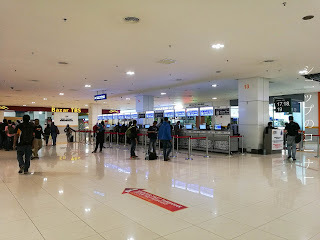 The bus boarding area is almost airport-like, with a sentry at boarding gates keeping track of your tickets before you're allowed to go down to the waiting area. These waiting areas are also comfortably air-conditioned and an announcement to board (Just like at airports!) will be made when the bus has arrived and ready to make a move. They even make last minute announcements for people yet to make it on the bus, and wait up to 5-minutes before leaving the latecomers behind. Pretty good treatment for a bus station! 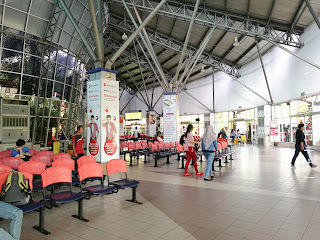 And hello, Melaka Sentral Bus Terminal! If you've managed to board the bus however, you will arrive the Melaka Sentral Bus Terminal two hours later (Without traffic) and you're ready for a Malacca adventure like no other! The bus terminal here is noticeably more run down than the TBS, with random stalls set up in the middle of the station that sells things like clothes and shoes, most of them run by foreigners as well. It could also get pretty stuffy come the afternoon because it's not very well ventilated, so do be prepared for a bit of a heat. A shuttle to Jonker Street. If, like us - you've decided to stay around the Jonker Street area, you can opt to wait for the Panaroma Melaka shuttle bus. It's a RM 2 ride that takes you to the Dutch Square, but run times are not always accurate. It's normally located Gate 17, but you will have to make it across to the Domestic Bus area of the station. Do take note that this is different from where you would board your buses to go to KL or other states, as that's at the Interstate Bus area. Our suggestion however, is to just get on a GRAB. It will cost you an average of RM 7, just RM 5 more than the bus but it is definitely faster and more efficient - stopping you right where you want it to. It costs RM 1 more to go back. 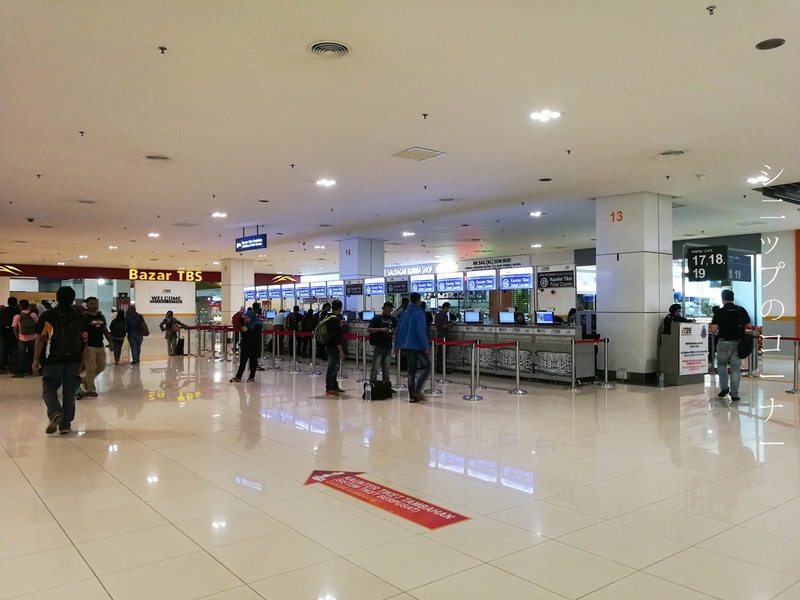 To return to KL after your Malacca trip, simply reverse all the steps above (Except the Panaroma Melaka bus idea unless you're taking a GRAB) and make your way back to the TBS via the Melaka Sentral Bus Terminal! Unfortunately the ticketing system here isn't centralized so you'll have to look out for the bus operator you specifically want. We went back with Mayang Sari and was lucky to have gotten tickets to their much more comfortable 36-seater bus for RM 12, just RM 1 more than our trip from KL to Malacca. It was an extra worth paying for however, because the seats were just so much more comfortable. Earplugs are recommended if taking a bus - you never know if there are uncontrollable children on your trip who just won't stop screaming! 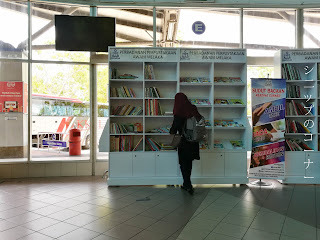 An interesting thing we found at the Melaka Sentral Bus Terminal however was that they had a book shelf where you were most welcome to pick up one of the books donated by members of the public to the library of Malacca. A good time waster if you're there and waiting for your bus to depart, and sometimes you'd see a classical Enid Blyton or two there as well! 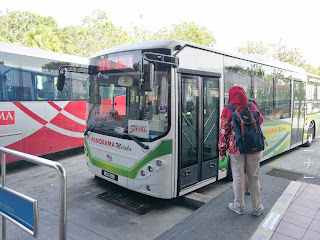 As an overall, I think it's really easy to get to Malacca and back to KL by bus now and it's all thanks for the ever improving public transportation. It will cost each person RM 23.40 for the interstate buses only, but you'll be on a stress-free ride. No more thoughts of traffic jam, no more worries of petrol prices. Just pack up and you're ready to go! So when will you be heading to Malacca?